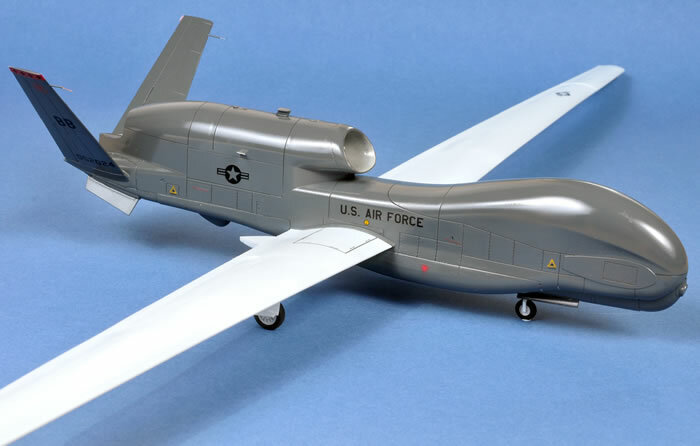 An in-box review of Skunkmodels Workshop's 1/48 scale RQ-4B Global Hawk may be found by following this link. 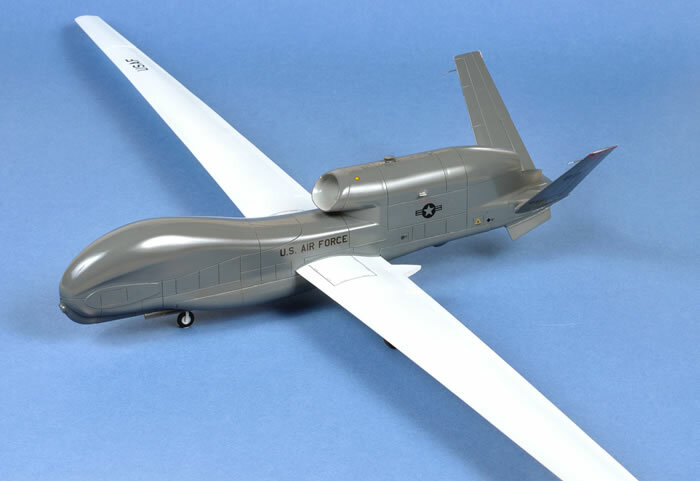 My Skunkmodels Workshop 1/48 scale RQ-4B Block 20 Global Hawk was built straight from the box with no modification or aftermarket detail. The fit of the kit is excellent with the only issues being a gap at the rear end of the lower fuselage panel and the rear beaver tail fitting which required some filler, a bit of sanding and remedial work. The build is very straightforward. The instructions do not mention the need for weight in the nose, which unfortunately I missed and ended up with a tail sitter. For the photographs, the front wheel was held down with a tiny blob of Blu-Tack. Incredibly for such a long wing, there is very little droop - great engineering from Skunk Models. The kit comes with double bogey undercarriage main wheels. 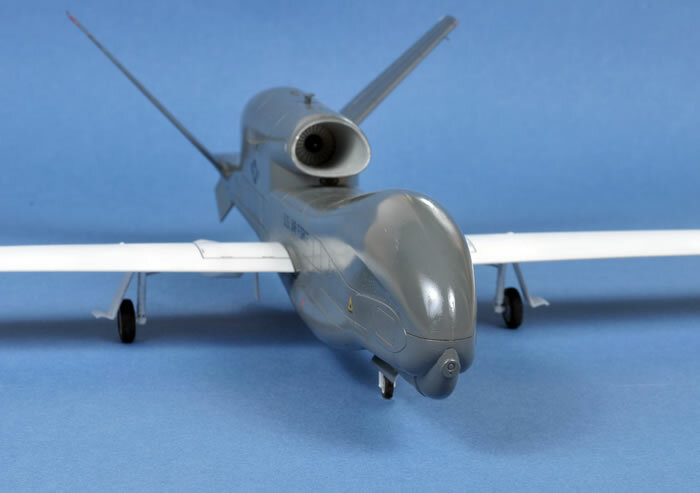 The instructions advise the modeller to cut off the inside bogey axle as I am sure that only the prototype Global Hawk had double bogey main undercarriage. The kit was painted in Xtra Colour paints. 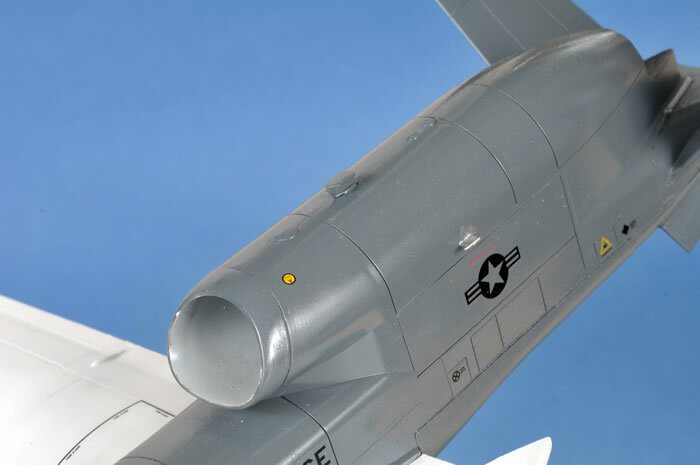 The assembled kit is a challenge to paint as it has a wingspan of over 800mm, which means you have 400mm of wing to deal with while airbrushing the fuselage. The wing kept poking me in the eye as I moved it around to paint! 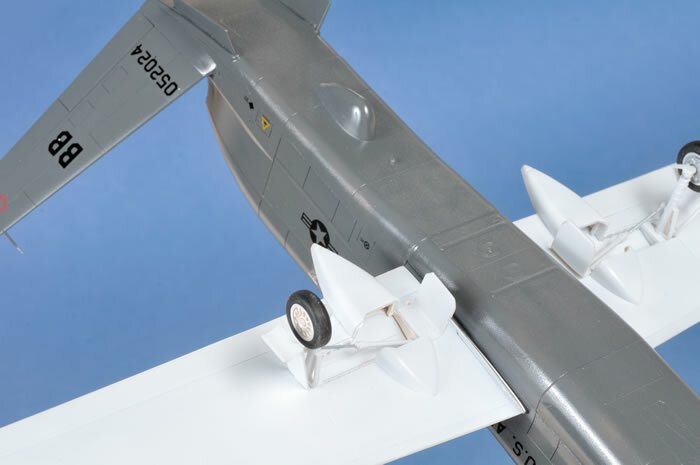 In summary, Skunkmodels Workshop's RQ-4B Global Hawk is a breeze to build, a challenge to paint (in particular the almost one metre of wing) and, as Brett found, an even bigger challenge to photograph due to its size, but the finished kit certainly looks impressive when parked in the collection! Thanks to Kinetic Models for the review sample.